Share the post "Google launches TensorFlow 2.0 Alpha: Here is all you need to know about it"
TensorFlow is a great open source library to train and run machine learning models quickly. It enables companies both big and small to leverage the power of AI to make their products and services smarter. In the past few years, this tool has helped to increase and accelerate the level of AI integration among enterprises. From pharma to healthcare and banking to agriculture, Tensorflow is bringing new opportunities to industries of all sorts. Many big players in the market including Airbnb, Airbus, Dropbox, GE, LinkedIn, PayPal, Twitter, and Uber are using this software library. Most common use cases of TensorFlow include image recognition, speech recognition, video detection, sentiment analysis, time-series algorithms and object detection. Developed by the Google Brain team, the first stable version of this ML library was launched in 2017. Since then we have seen many improvements and bug fixes, but no major release. Finally, the wait is over, as TensorFlow 2.0 is coming soon. 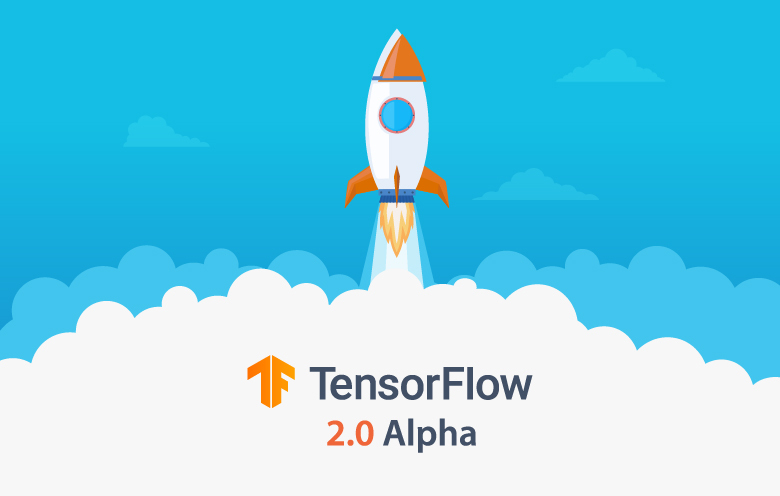 Google announced the launch of TensorFlow 2.0 Alpha at the TensorFlow Dev Summit held at Google Event Center in Sunnyvale, California on March 6, 2019. This alpha version helps to get a preview of the changes and improvements in the upcoming release. Google is also providing documentation to help organizations successfully migrate from TensorFlow 1.x to TensorFlow 2.0. The full release of the second version will take place in the second quarter of this year. The new version brings along a number of features to improve its usability and functionality. The focus is to provide a comprehensive platform that makes every step of machine learning right from training to deployment, easy for the users. Here are some of the major improvements in TensorFlow 2.0. To simplify the overall use of this framework, Google has designated Keras as a high-level API to build and train machine learning models. However, Keras has been a part of TensorFlow for a long time but with 2.0, it is integrated more tightly into the platform. Having a single high-level API will provide developers with a clear and focused path to get easily started with TensorFlow. A consolidated, clean and organized API structure will be one of the main highlights of this version. Therefore, the TensorFlow team is planning to remove redundant APIs like Slim and Layers and replace others with their equivalents. The ultimate goal is to ensure that two APIs should not do the same thing, which has been the main cause for confusion among the users so far. This reduced duplication will make TensorFlow easy to use for developers who are new to machine learning. Another major update is that TensorFlow 2.0 will run with eager execution by default. This ensures ease of use and a smooth debugging experience for the users. However, this does not mean that developers will not enjoy the benefits offered by graphs. A great addition to TensorFlow 2.0 is the tf.function that automatically translates the eager-style Python code into TensorFlow graphs. This process not only saves time and reduces hassle by eliminating the manual creation of these computation graphs, but also improves error tracing and messaging. In TensorFlow 2.0, developers will enjoy improved compatibility across various components and platforms. The TensorFlow team is looking forward to standardizing exchange formats in the 2.0 version. So in the new version, once the training phase for any model is complete, the model can be easily deployed in production on any platform. Additionally, a number of deployment libraries like TensorFlow Serving, TensorFlow Lite, and TensorFlow.js are also available for the developers to use. Moreover, to simplify the migration from TensorFlow 1.x to TensorFlow 2.0, a conversion tool will be provided. This tool will update the Python code to use compatible APIs wherever possible. Moreover, it will highlight the areas where the code cannot be converted automatically. TensorFlow 2.0 has a number of interesting features that make it great for researchers and advanced level users. Here they will be able to use extensions like Ragged Tensors, TensorFlow Probability, and Tensor2Tensor to build state of the art models. Moreover, a more detailed version of the lower level TensorFlow API is also available for use keeping the flexibility for researchers in mind. As already mentioned above, the new version will run on eager execution and provide crisp and clear error messages. This will help researchers to understand the issues quickly and debug them. Furthermore, they can easily jump to the source of the error in the original code as well. By adding the above-mentioned capabilities, TensorFlow promises to provide a better development experience. TensorFlow’s simple, clutter-free and flexible model building, powerful training, increased computational capacity and direct path to production will help organizations to tap the unexplored areas of business growth in the future. However, the capabilities discussed above are just a snippet of the improvements made in TensorFlow 2.0. Several other major and minor changes have been done to make it better than its previous versions. Our TensorFlow team was anticipating the release since the last year and is exploring the changes currently. To know more about the latest release and how your business can seamlessly migrate to it, talk to our experts.